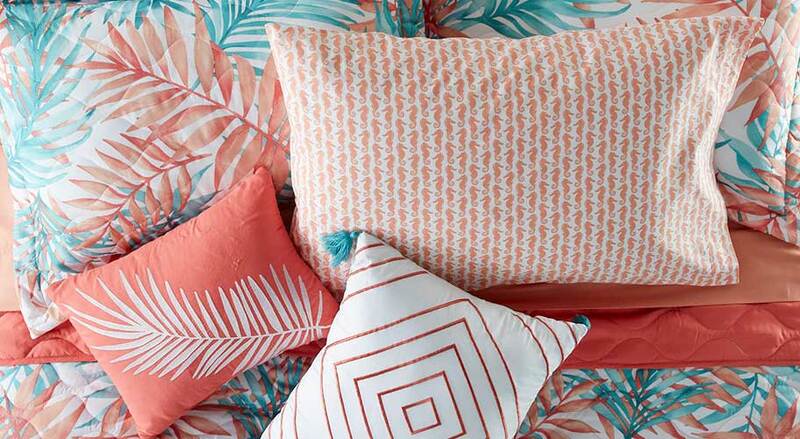 With a new season of sunshine just arrived, it’s time to lighten your bedding look. Find new styles in bright whites & modern florals or upgrade your basics to make your whole space feel refreshed. Get your beauty sleep in style. Find bedding from our exclusive brands in the bright colors & chic prints of the season, all at a value you’ll love. 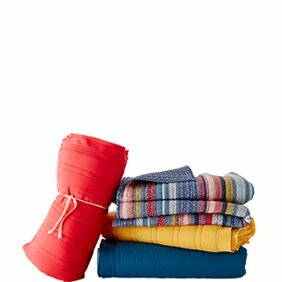 Pick up a whole new set or mix things up with new sheets & shams. The average person sleeps about seven to eight hours per day, which means almost one-third of our lives are spent asleep. That also means it's important that the places we sleep and the furniture we sleep on are comfortable. Because style is important, the bedding you have should be functional as well as comfortable. For the best in bedding, look through our Best Sellers and Special Buys to find what meets your needs. When it comes to sheets both fitted and flat there are five basic options to choose from, dependent on the size of your bed. 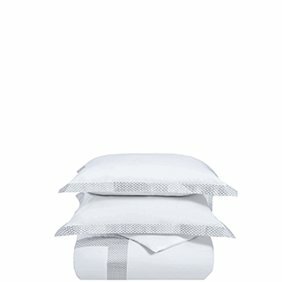 You can select twin-, twin-XL, full-, full/queen-, queen-, king- and California king-sized sheets and pillow cases that match the size sheets you choose. Basic colors include white, beige or off-white, blue and green, although the choice of color ranges much higher and is based on your personal tastes. Many sheets (and pillow cases) are cotton, but other available options include flannel, polyester, microfiber, rayon and satin. Even cotton isn't just cotton. 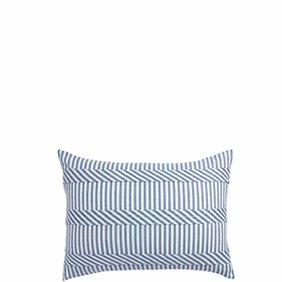 It can be 100 percent cotton or a cotton blend, such as cotton sateen or a cotton-polyester blend. Egyptian cotton is also a nice choice and considered to be one of the best available fabrics for sheets and pillow cases. 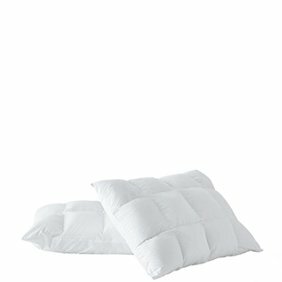 Cotton sheets and pillow cases are rated on their thread count the higher the thread count, the softer the sheets feel, especially after a few washings. 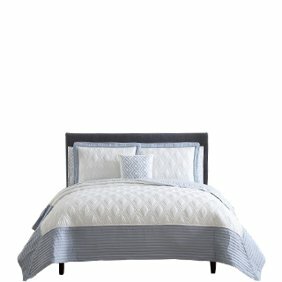 Thread count ranges between 100 and 1,800, with most falling in the 200 to 800 range. Microfiber and flannel are also very soft choices. Sheets and pillow cases are available in many patterns. Basic sheets are available in solid colors, but there are also stripes, polka dots, checks, geometric shapes and floral patterns. Sports lovers can find sheets and pillow cases featuring their favorite teams in the Sports Fan Shop. 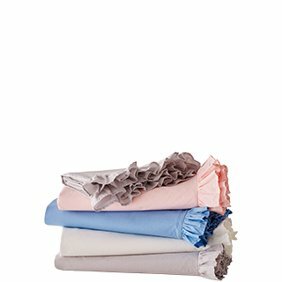 Sheets and pillow cases are the starting point for your bedding, but you also need other bedding for added warmth and comfort. 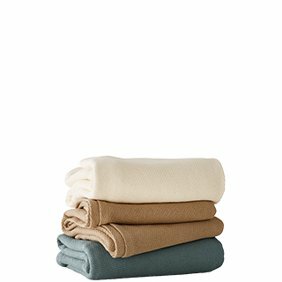 Blankets and throws are lightweight bedding pieces that add some warmth and color to a bed, while quilts, bedspreads and comforters provide warmth and serve as the upper layer of bedding. Bedspreads are usually thin, while quilts and comforters are thicker and more heavy duty. 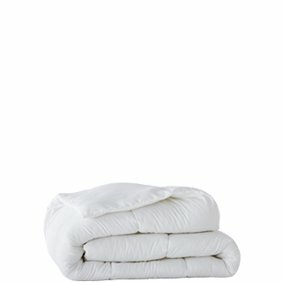 Many comforters have two distinct colors or patterns on either side, meaning they're reversible. These items come in the same sizes as sheets, although comforters and bedspreads should be larger than the bed itself since they serve as the top layer of bedding. For example, many throws are 50 inches by 60 inches, but some are 50 inches by 70 inches. Solids, stripes and other pattern choices are available, as are a multitude of colors. For even more heat possibilities, select an electric blanket or throw. These offer many different heat settings, as well as an automated on/off feature. Some even offer dual controls so one side of the bed can be warmer or cooler than the other. 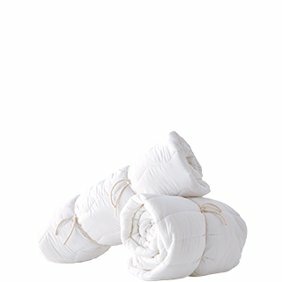 Bedding sets make it simple to purchase the bedding items you need all in one convenient package. 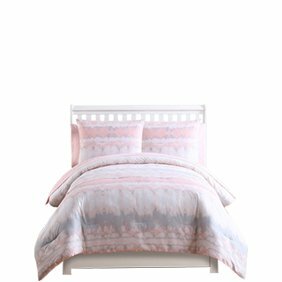 The options we have available include bed-in-a-bag sets, comforter sets, quilt and bedspread sets, duvet sets and kids' bedding sets. Bed-in-a-bag and comforter sets come in all the standard bed sizes and include a flat sheet, a fitted sheet, a comforter, one or two shams and two pillowcases. Some also come with a bed skirt, and some come with decorative pillows instead of pillow cases. 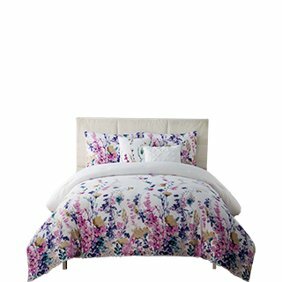 Quilt and bedspread sets range between three and five pieces, with the basic setup including a quilt or bedspread and two shams. Some include decorative pillows and an extra sham. 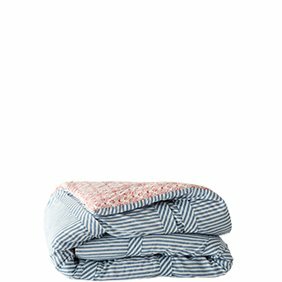 Duvet sets feature a duvet and either one or two shams. 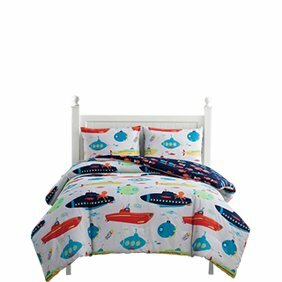 Kid's bedding sets are like bed-in-a-bag sets, but designed for smaller beds and feature kid-themed patterns and logos, such as superheroes or cartoon characters. Decorative pillows add to the decor for a bed, are either square or rectangular, are smaller than standard bed pillows and have a variety of colors and patterns. 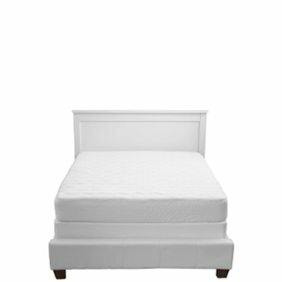 mattress toppers are made of foam, gel, down or down alternative, and are placed between a mattress and a fitted sheet to add a layer of comfort to a mattress. They range in thickness between 2 and 4 inches. 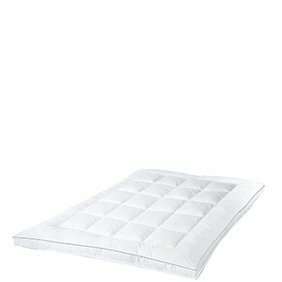 Mattress protectors are sealable and waterproof to protect a mattress against moisture and bed bugs. 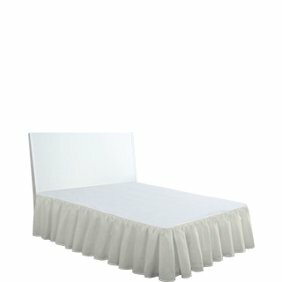 Bed skirts and dust ruffles wrap around the bottom of a bed to keep dust and dirt from gathering beneath a raised box spring mattress or bed.